A storm spinning toward the Gulf of Mexico Coast is expected to turn into a tropical storm late Monday, bringing heavy rains, strong winds and dangerous tides, the National Hurricane Center said. The storm is expected to expected to pass over the Florida Keys before noon Monday as it heads into the Gulf. It could become a tropical cyclone by Monday night with a minimum expected winds of 39 mph (62-3 kph), the NHC said. If so, it will be dubbed Tropical Storm Gordon, forecasters at the National Weather Service said. 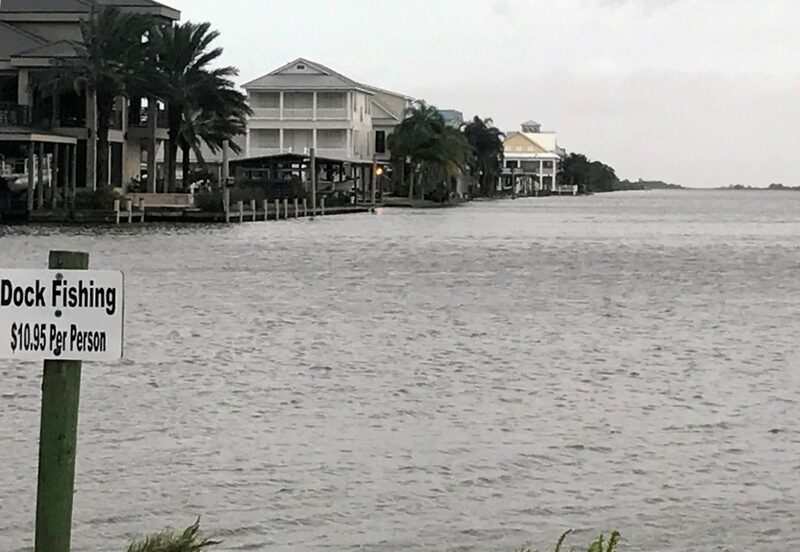 What has so far been called Potential Tropical Cyclone Seven is set to drench parts of the Florida-Alabama border by Tuesday night, dropping as much as 8 inches of rain in some areas still reeling from hurricanes a year ago. The storm was churning about 60 miles southeast of Marathon, Florida at 5 a.m. Monday, with winds of 30 mph. A tropical storm watch is in effect for a swath of the Gulf Coast, from Florida and the coasts of Alabama, Mississippi and Louisiana, the NHC said. A storm surge watch is in effect for the Mississippi-Alabama border westward to the mouth of the Mississippi River. “This rainfall may cause flash flooding,” the Miami-based NHC said. There were no immediate indications that the storm had affected energy operations in the Gulf of Mexico area. Florida Gov. Rick Scott reminded people to remain vigilant.